Lacoste is a legendary clothing brand with perhaps the most famous polo shirt in the world. The iconic green crocodile logo has never been changed, and is rarely made bigger than its understated size. 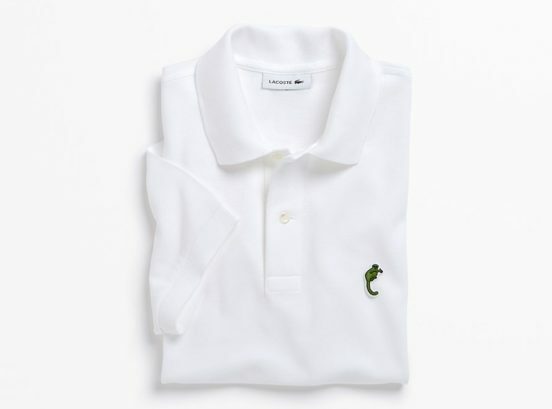 However, this year Lacoste is making an exception: it’s changing the logo for limited edition polos in support of endangered species. 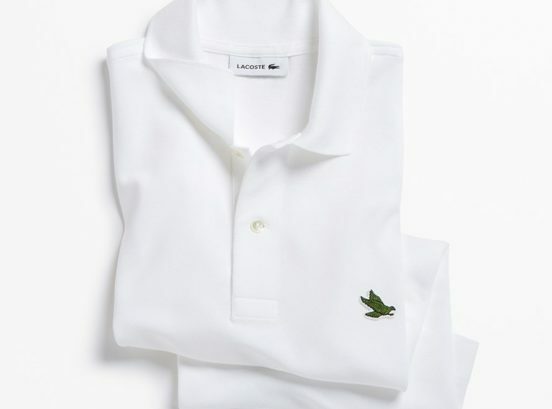 Lacoste is changing up the look to support the International Union for Conservation of Nature (IUCN). The IUCN is the world’s largest and most diverse environmental network. 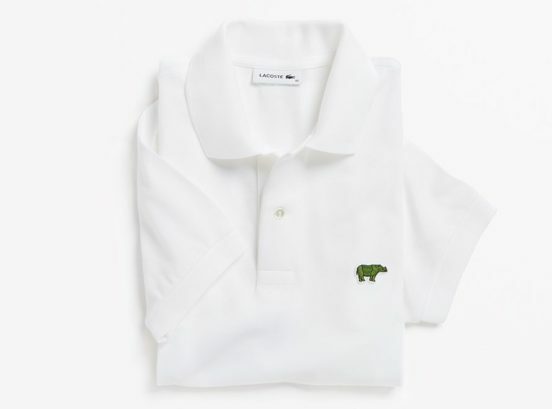 Lacoste, along with BETC Paris, will remove the smiling croc on a new line of white polos in order to showcase animals that need visibility now more than ever, because they are going extinct. The partnership is called “Save Our Species” and is planned to last for three years. The purpose of the campaign will be to draw attention to the plight of the animals and convince the world to act to preserve their natural habitats. The polo shirts are of course limited edition – they are limited to the number of animals left for each specials. So far, there are 1,1775 shirts for sale. For instance, the Vaquitas will have 30 shirts. The Vaquitas is a kind of porpoise. There are 450 remaining Anegada Rock Iguana, and now they have their own shirts. Other species include the Sumatran Tiger, the Saola, the Kakapo Parrot, the California Condor, the Gibbon of CaVit, the Rhinoceros of the Sonde, the Batagur Turtle of Burma, the Northern Lepilemur, and the Porpoise of the Gulf of California. All logos are in the brand’s classic green. Each shirt comes in a white box with information about the species and the campaign, and how people can help. Few people know where the crocodile logo came from. It started with the founder of the brand, the great tennis player René Lacoste, who was called The Crocodile for his audacious and cool play on the courts. Lacoste was a member of the stylish foursome known as the Four Musketeers (along with Jean Borotra, Jacques Brugnon, and Henri Cochet), who dominated tennis in the 1920’s. Lacoste invented the polo shirt, wearing them during tennis matches. Tennis players still wear Lacoste shoes and clothing today. The brand has never changed its logo, but the Save Our Species campaign hopes to make good use of the unusual move and and the publicity around it. The IUCN, Lacoste and BETC chose the animals which are featured on the shirts. The studio in Paris made the logos with the same embroidery technique it uses for the croc. The shirts debuted at Paris Fashion week during the Lacoste show. They can be had while supplies last on the Save Our species website, where they cost around $183 (about 150€ each). Proceeds from the sales will go to the species. The shirts launched during Lacoste’s runway show at Paris Fashion Week today. Scoop them up on the Save Our Species microsite, where they’re selling for 150€ each (about $183). Each sale will go toward the preservation of its species.